and keep the time loss as low as possible. 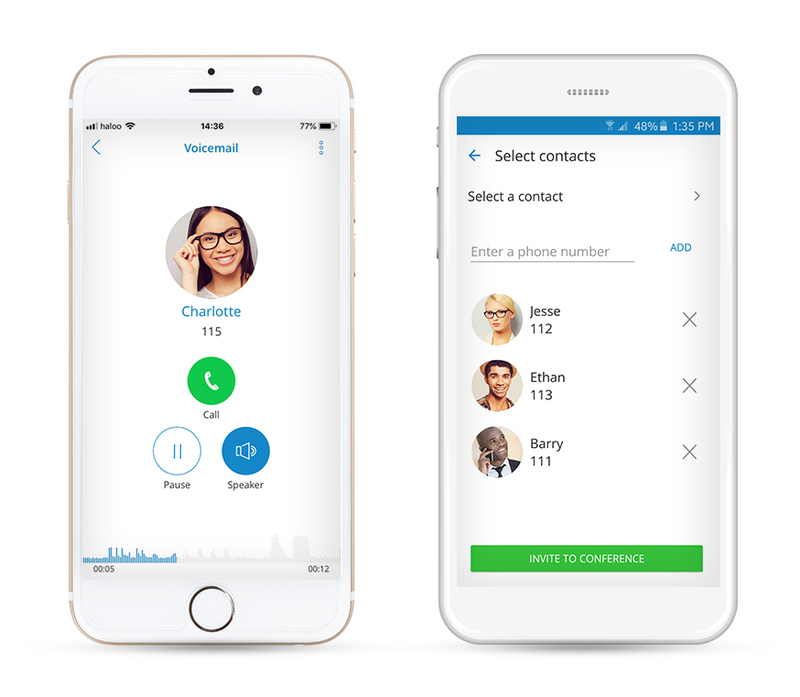 Experience efficiency at its best with gloCOM GO Unified Communications app and PBXware Phone system. 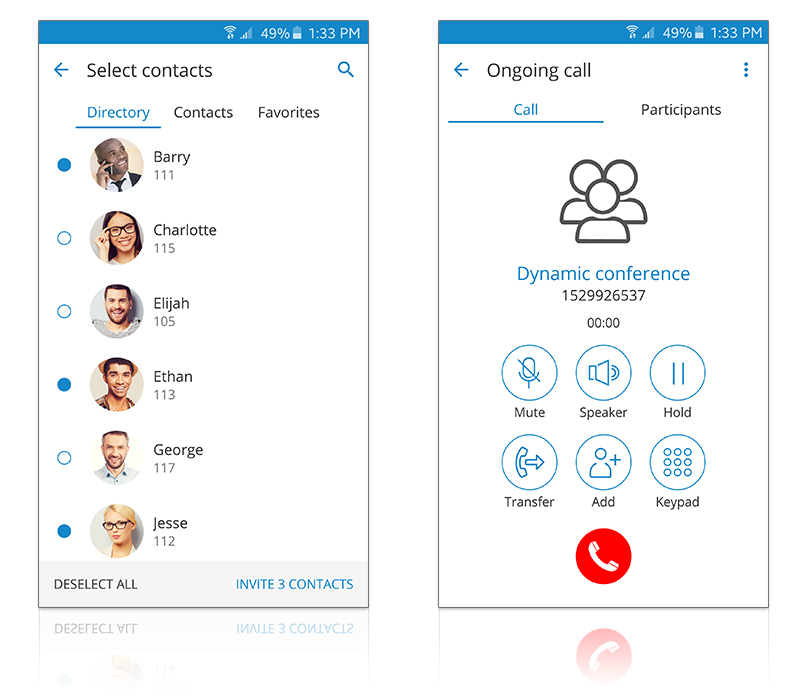 Plan phone calls, control your time and define availability using the gloCOM GO Presence panel functionality integrated with PBXware. 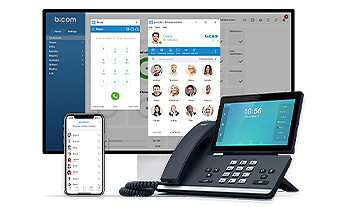 gloCOM is a Desktop & Mobile Unified Communications application designed to provide business users with a set of features and benefits capable of transforming a companies communications system into a real powerhouse. It is available on Microsoft Windows, MAC OS, Ubuntu Linux as a desktop application, and on Google Android and Apple iOS as a mobile application. 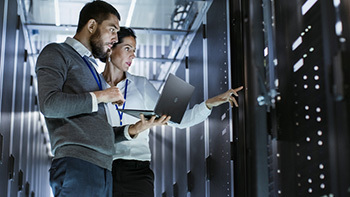 Exploit benefits of the PBXware system and stay connected even when out of the office, using WiFi or 3G network. 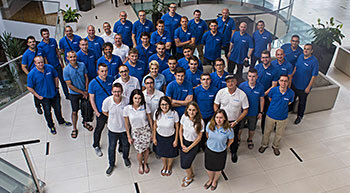 gloCOM GO is available on all iOS and Android smartphone devices. 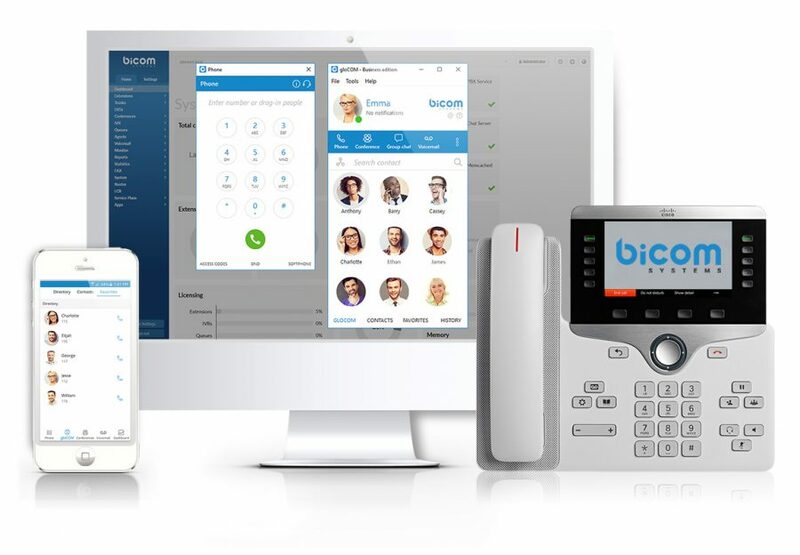 Use gloCOM GO with your PBXware on almost any smartphone on the market! Design of the application enables an easy switch to the Bring Your Own Device operations. Allow you to access all your connections, including the ones on PBXware from any device. Change your availability at any time and be aware of other users’ presence on the system. Reduces the time and knowledge required to complete the setup – from download to a call in less than a minute. gloCOM GO allows you to join existing static and dynamic conferences on the system, check conference participants and invite new users to the conference. Depending on assigned conference privileges, users can also mute and kick conference members. 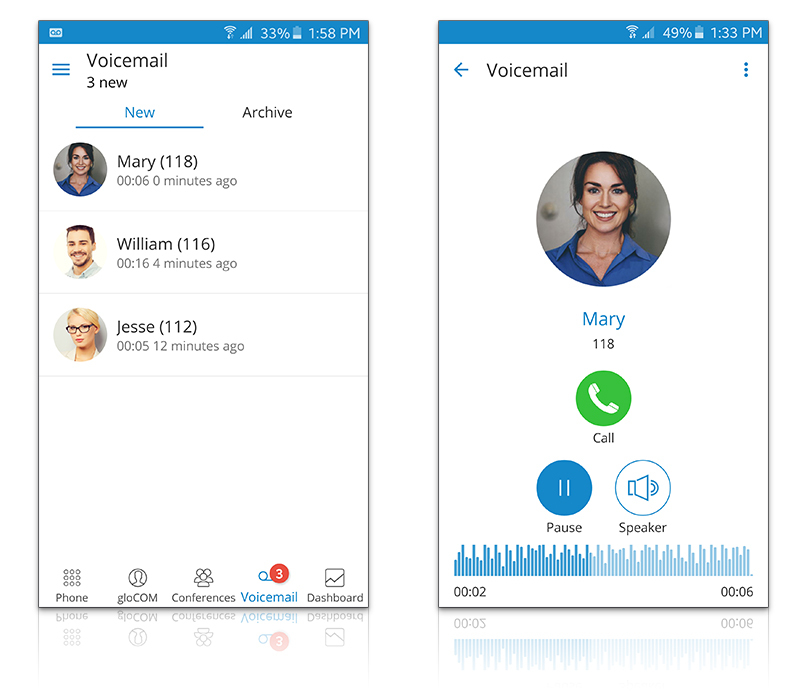 gloCOM GO allows you to easily manage your voicemail messages from a mobile phone.